Play games and find other activities to play online, including crossword puzzles and word searches. 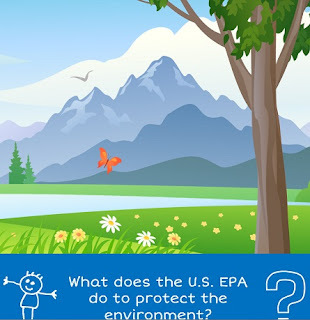 -- This activity book for young children provides an overview of the different ways in which EPA protects human health and the environment. Grades: K-5 -- What should you do when the Air Quality Index is orange? Let the chameleons K.C., Koko, and Kool, show you how EPA measures pollution in the air. Grades: 3-6 -- Learn more about energy and avoid being an energy vampire! Grades: 6-9 -- Let NASA teach you all about the flow of water. -- Have you met the Lorax? Colour pictures, play games and solve puzzles with some familiar friends. Grades: 3-7 -- Geared toward students, the multimedia-rich Climate Kids site uses games, humorous illustrations and animations to help break down the important issue of climate change. Grades: 1-4 -- Games, puzzles, art, and more -- all about science, the environment, and environmental careers. Grades: 6-9 -- Can You Find The Words? Grades: 2-6 -- Explore Recycle City to see how the people of the town reduce waste, use less energy, and even save money by doing simple things at home, at work, and in their neighborhoods. Grades: 3-8 -- What is energy? Challenge yourself to riddles, puzzles, and science experiments. Grades: 4-7 -- If you're good with words, and think you know all about the ozone layer (or want to learn more), then you're sure to enjoy this crossword puzzle. Grades: 3-7 -- Think you know everything there is to know about water? Move the water-efficiency hero Flo through water pipes and answer water-efficiency questions while avoiding water-wasting monsters. -- Particle pollution known as particulate matter (PM) is one of the major air pollutants regulated by EPA to protect public health and the environment. Build your own air sensor kit to investigate particulate pollution. Grades: 3-7 -- Thirsty for knowledge about water? -- Do you know where the red-eyed tree frog calls home? Play this game based on animal habitats to learn! Explore the desert, coral reef, jungle, and marsh to discover where many animals live by matching each animal to its correct habitat! • SciJinks - It's all about weather! -- Games all about weather and science! -- Making pictures of the sea floor is the science of hydrography; learn more about this amazing task. -- Explore the different sections of the website to learn all sorts of ways you can help prevent wildfires. You'll find activities, games, and learn a lot about protecting the forest. Have fun! -- Help Wanda the Wood Thrush travel from her winter home in Costa Rica to her summer home in Maryland. All you need to do is answer some questions about migratory birds. Each correct answer will bring her closer to her favorite forest where she'll be able to find a mate, build a nest, and lay her eggs! • Yellowstone Park - For Kids! -- Explore Yellowstone National Park online games and activities. Then look for kids' activities at other National Parks.